TRAC operate and maintain a fleet of 400kg Neotec Skyrailer MEWPs, all of which feature fully hydrostatic rail wheel drive and a high definition camera mounted on the counterweight providing the operator visibility in the key blind spot of this type of machine; ensuring all round visibility when travelling and working. The basket is suitable for 3 persons with most regular tools, and can be operated to the same working envelope either in Road or Rail Mode. 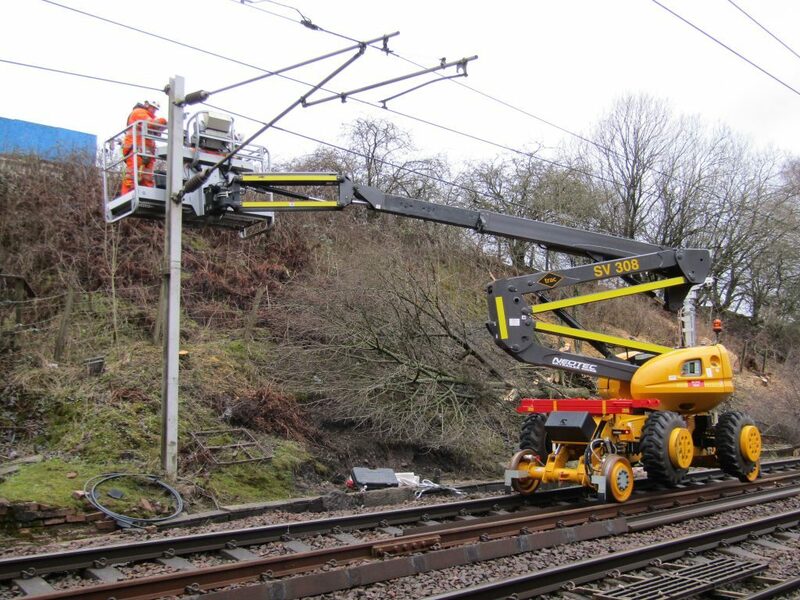 The Skyrailer is available with a Basket Operated Pantograph, making it an exceptionally capable machine on Electrification or OLE Maintenance Projects. © 2019 TRAC Engineering | View our Privacy Notice | A TRAC International company.